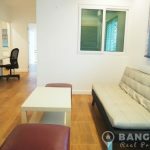 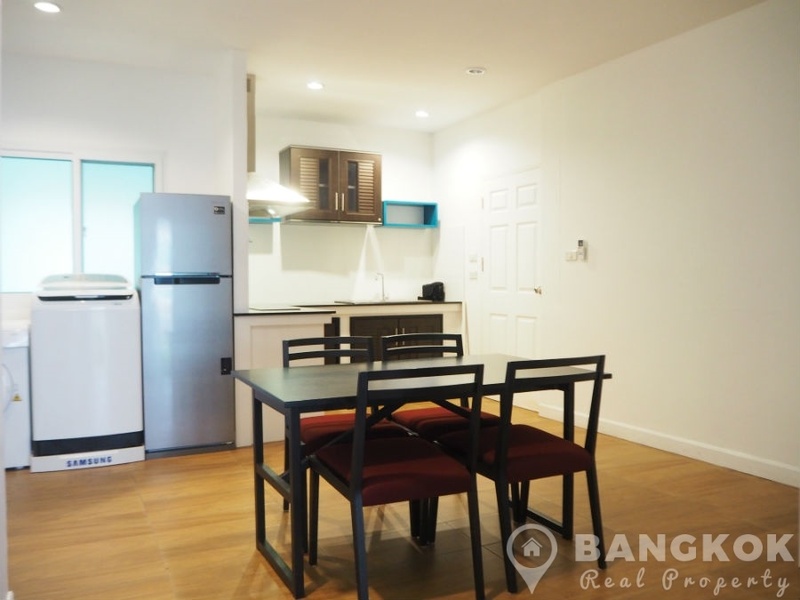 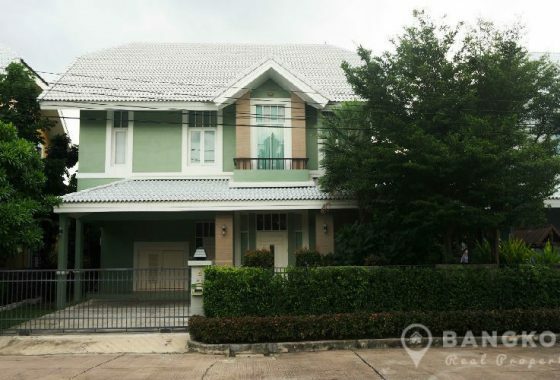 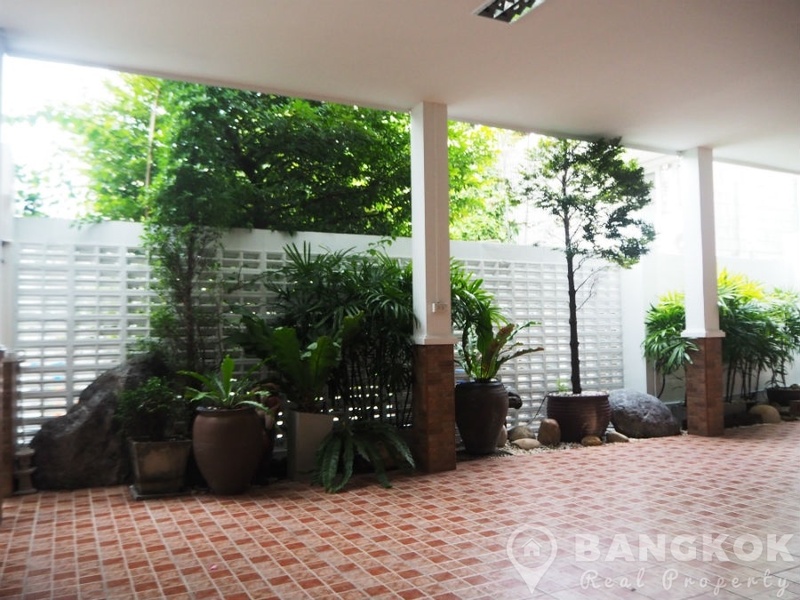 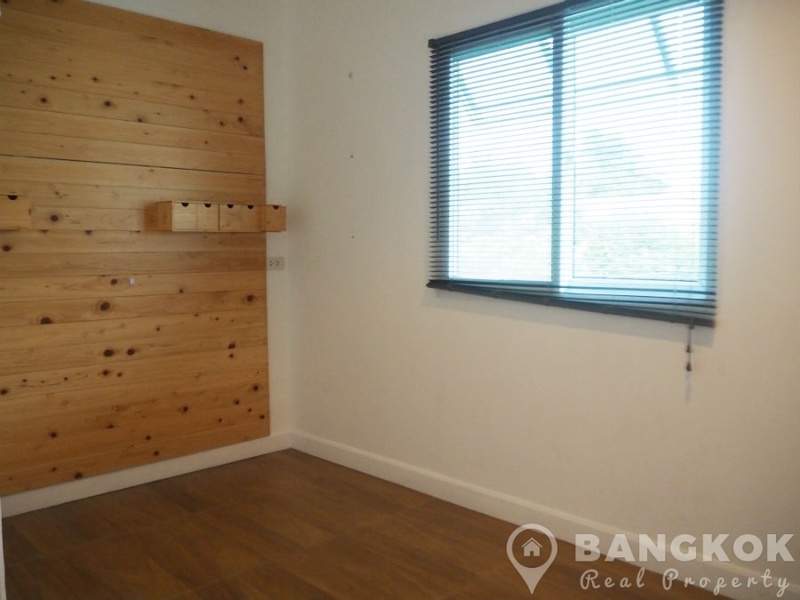 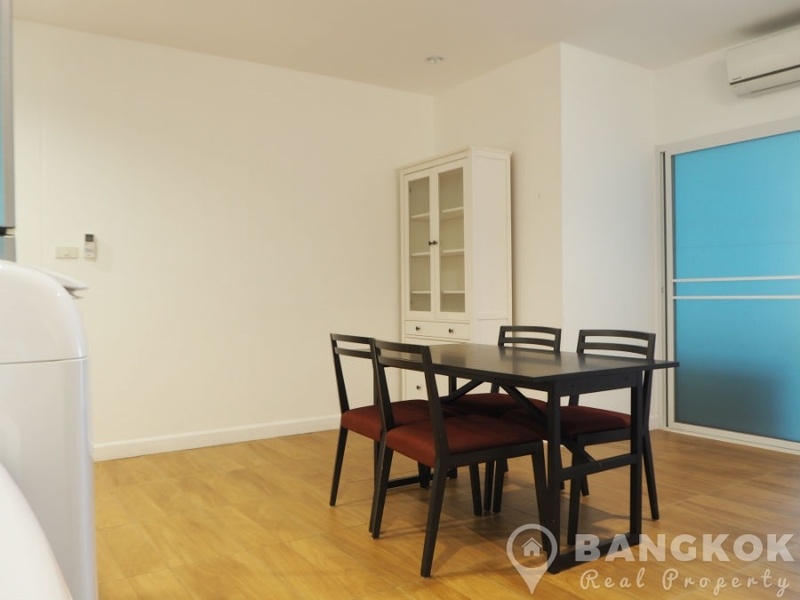 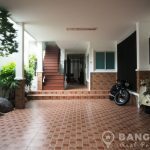 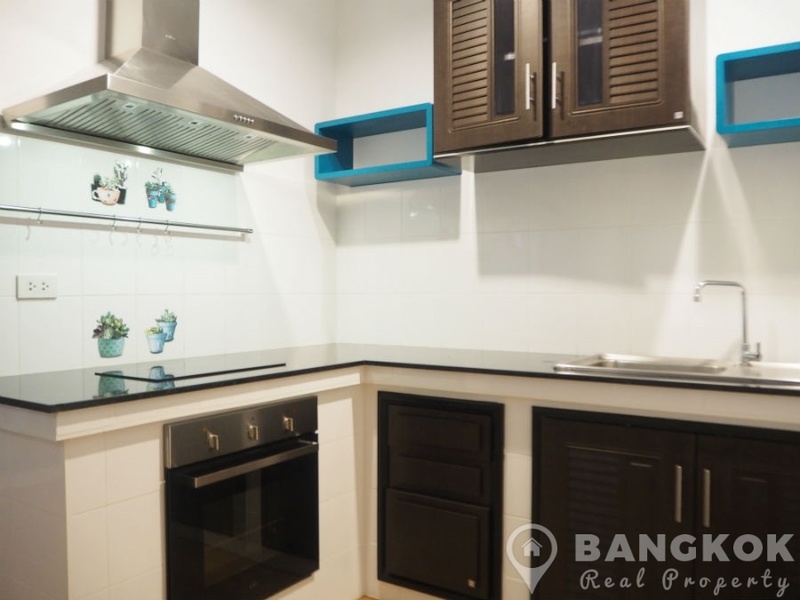 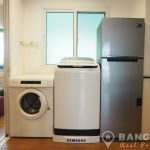 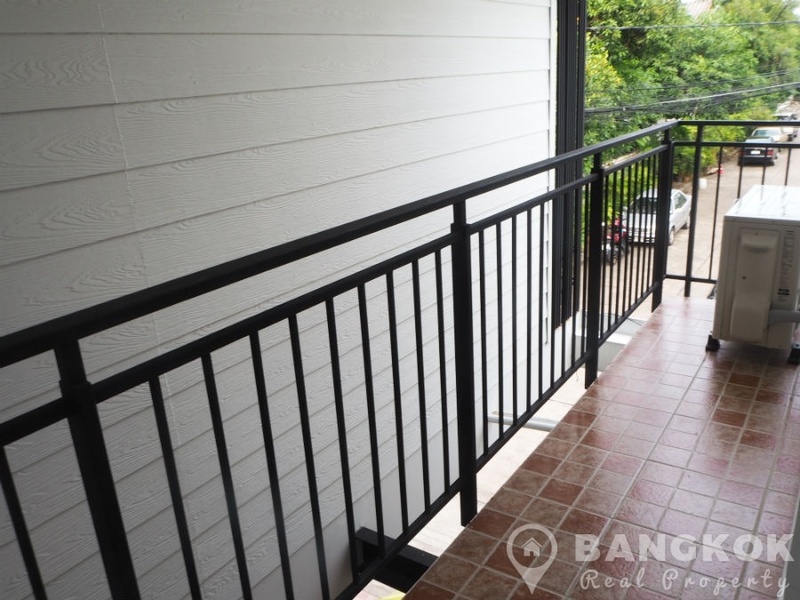 This modern designed, bright, 3 bed, 2 bath Sammakorn apartment is now available to rent ideally situated within the very popular Sammakorn Village located just off Ramkhamhaeng Road. 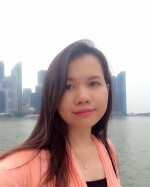 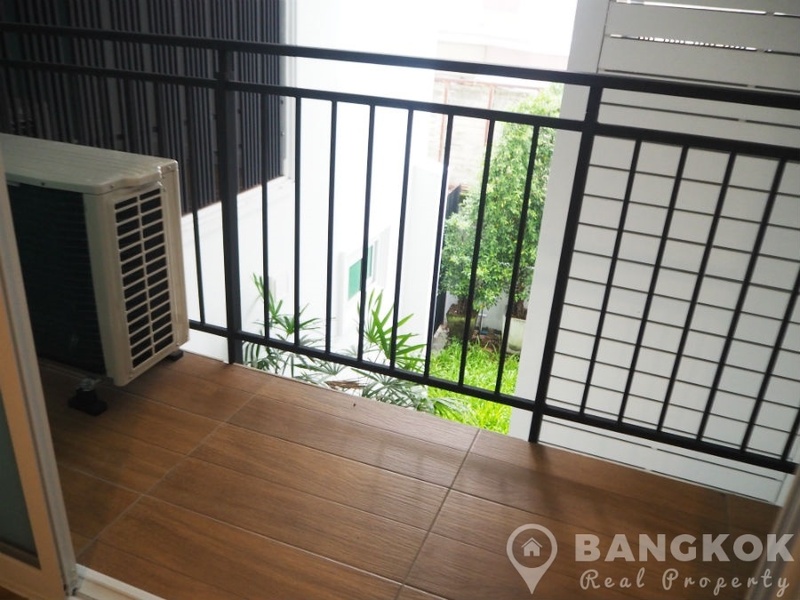 This modern low rise apartment building just built in 2017 is located near the village centre with many shops, restaurants and and offers access to local amenities including Villa Market, Paseo Town mall, Golden Place, Bangkapi Mall, several top international schools including Bromsgrove and Ruam Rudee and Ascot Schools. 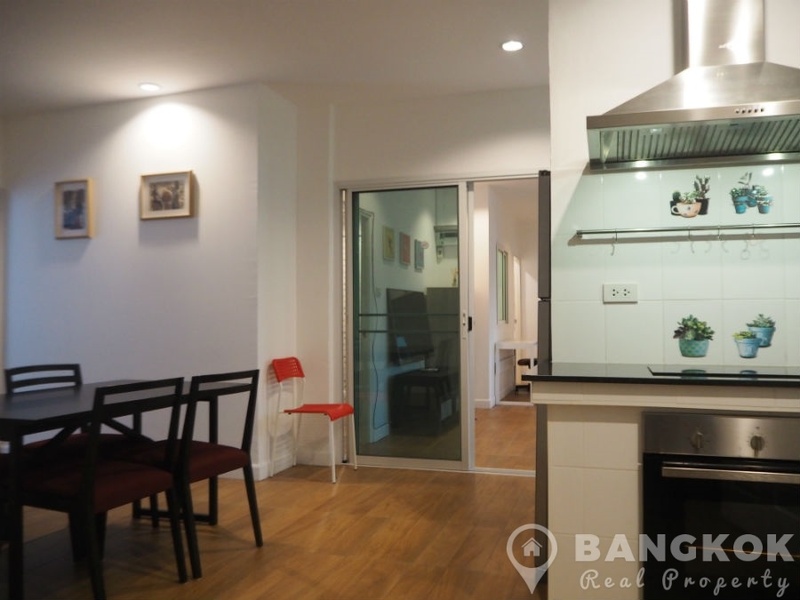 Ramkhamhaeng ARL station is a short drive away. 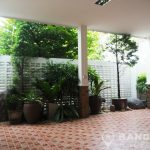 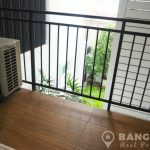 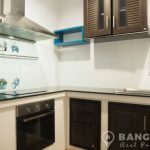 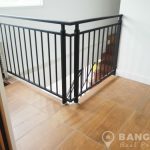 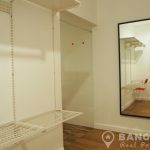 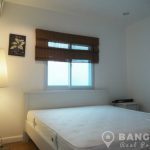 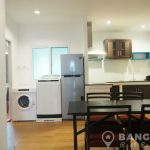 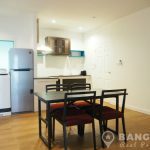 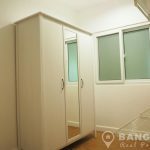 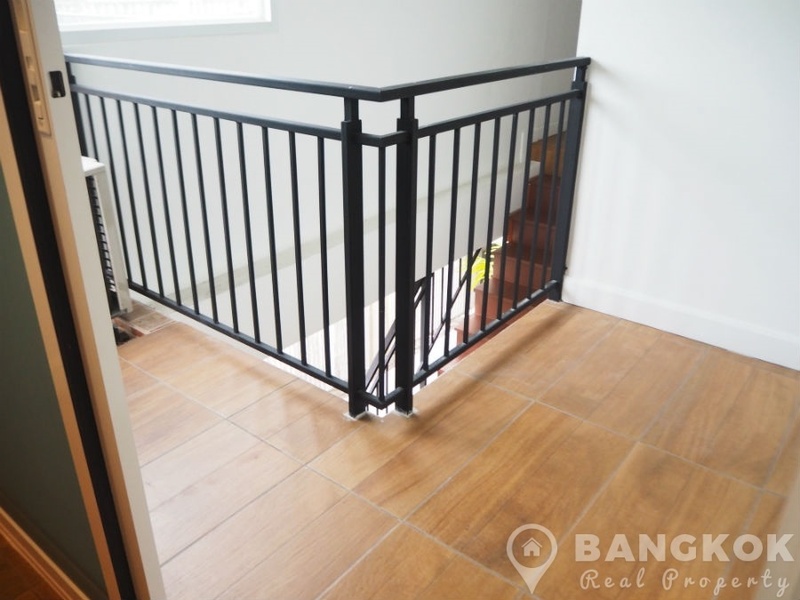 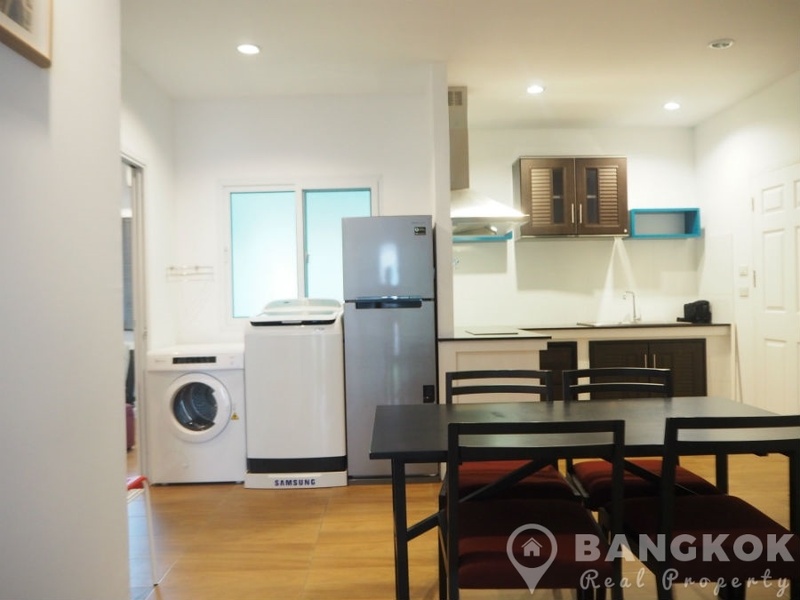 This modern Sammakorn apartment is situated on a high floor in this low rise apartment building with 100 sq.m of living space (excluding balconies). 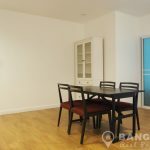 The unit comes fully furnished in a modern style and has ceramic tiled floors throughout and has 3 balcony areas. 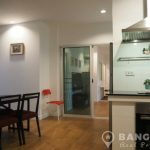 The apartment opens to a large open plan dining room – kitchen with balcony (1) access, modern fitted kitchen with built in electric hob & extractor hood, built in electric oven, microwave, fridge freezer, washing machine and separate dryer. 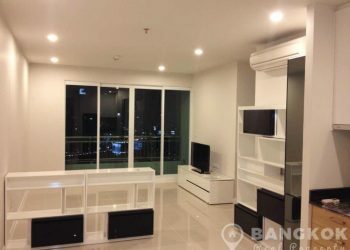 The livingroom is separate also with balcony (2) access, working area, large LCD TV. 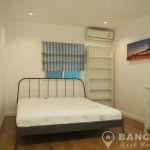 The master (double) bedroom has a large walk in wardrobe area with extensive storage and ensuite bathroom with power shower. 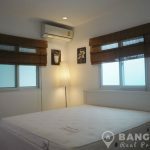 Bedroom 2 is a double with wardrobe storage and balcony (3) access. 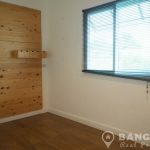 The 3rd bedroom is a single or could be used as an office. 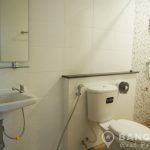 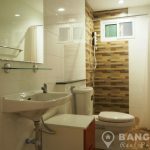 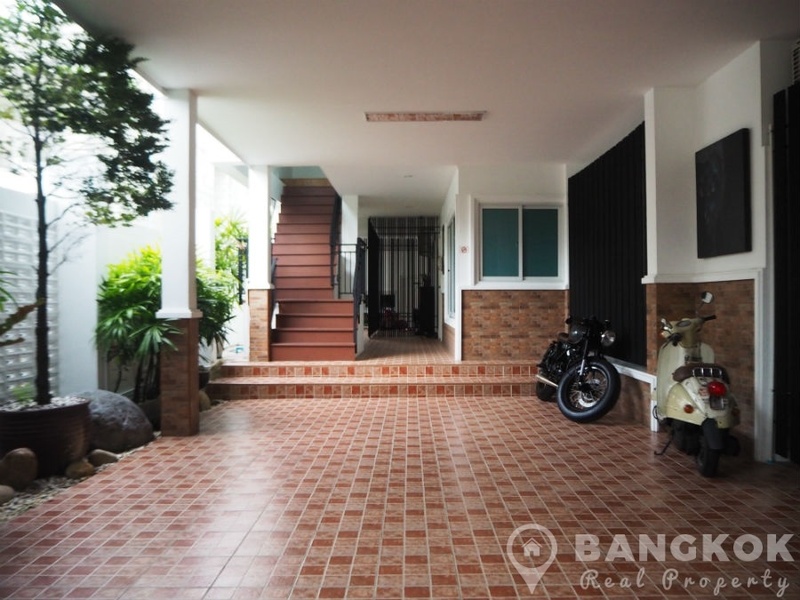 These 2 bedrooms have use of the main bathroom with power shower.